Today in Tech News Digest, Project Morpheus and Oculus Rift bring virtual reality back, Unreal Engine 4 debuts, Flappy Bird is returning, Firefox 28 drops Metro, Google Docs phishing, and Mongolia tries to ban swearing on the Web. We mentioned Project Morpheus Google Android Wear, Moto 360 & LG G Watch, PS4 Virtual Reality [Tech News Digest] Google Android Wear, Moto 360 & LG G Watch, PS4 Virtual Reality [Tech News Digest] Android Wear for wearables, Moto 360 and LG G Watch, the NSA is MYSTIC, Xbox One expansion plan, PlayStation 4 virtual reality headsets, LINE Call for international chats, and the 'Unnumbered Sparks' art installation. Read More in yesterday’s Tech News Digest, but more details have emerged that make it worth taking a second look. Especially as the level of interest in this virtual reality system for the PlayStation 4 Sony PlayStation 4 Review And Giveaway Sony PlayStation 4 Review And Giveaway Ladies and gentlemen, the next generation of video game consoles is here, with the Sony PlayStation 4! Read More has been higher than predicted. 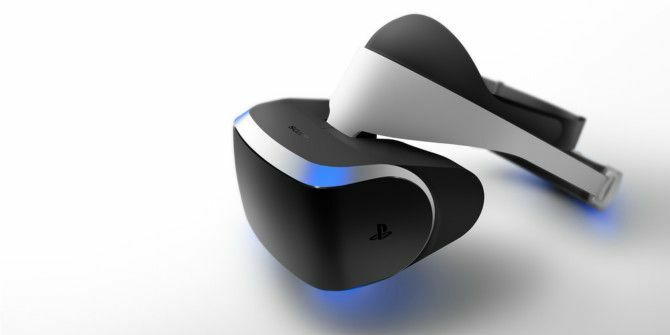 Firstly, it has been revealed that Project Morpheus will not be launched anytime soon, with The Verge getting confirmation directly from Shuhei Yoshida, president of Sony Worldwide Studios. Yoshida stated, “As of today, we are not talking about a final product. But what I can say, what we can say, is because we are still working on the tech, we can safely say that we will not be releasing the product this year.” Which suggests interested parties have a long while to wait yet. Meanwhile, both The Verge and Engadget tried out the Project Morpheus prototype. What’s clear, despite the differences in reporting, is that this is an early version of hardware that will (have to) be vastly improved before it’s ready for the mainstream. One year after releasing the first Oculus Rift development kit, the second, Oculus Rift DK2, has been announced. After using Kickstarter to fund the original dev kit, Oculus VR is taking direct orders for the second dev kit, which is priced at $350 and will start shipping in July. We have a host of Oculus Rift articles worth reading, including a review of the original Oculus Rift dev kit Oculus Rift Development Kit Review and Giveaway Oculus Rift Development Kit Review and Giveaway The Oculus Rift has finally arrived, and is making heads turn (literally) all over the gaming community. No longer are we confined to to peering through a flat window into the gaming worlds we love... Read More , a roundup of amazing Oculus Rift demos 5 Oculus Rift Demos That Will Blow Your Mind 5 Oculus Rift Demos That Will Blow Your Mind Forget the Playstation 4 or the Xbox One - I've seen the future of gaming, and it is neither of them. The Oculus Rift is amazing - and with $16 million in fresh funding, the... Read More , and an exploration of how the Oculus Rift could change gaming forever Oculus Rift Will Change Gaming Forever Oculus Rift Will Change Gaming Forever The StarTrek Holodeck - the epitome of a virtual immersive environment - has been a sci-fi dream for far too long now. A week ago, Oculus launched a Kickstarter project for a $300 consumer VR... Read More . Epic Games has lifted the lid on Unreal Engine 4, its next-gen, cross-platform game engine. Developers can use Unreal Engine 4 by subscribing for $19-per-month, with Epic Games also receiving 5 percent of the gross profits made on any game that gets commercially released. This change in business model comes with developers being granted full access to the C++ source code and support for OS X. Epic Games is also working on support for HTML5, Linux, Steamworks, and the Oculus Rift. Flappy Bird The Short Story Of Flappy Bird [Weird & Wonderful Web] The Short Story Of Flappy Bird [Weird & Wonderful Web] Few mobile games enter into the collective consciousness of the mainstream in the way Flappy Bird has done. It passes into Internet folklore, but these videos will help to preserve its virality. Read More is set to return, it’s just a matter of when. This is according to the man himself, Dong Nguyen, who, as can be seen in the tweet embedded above, assured us all that Flappy Bird would be coming back. The question is, with so many Flappy Bird clones Kids Can Learn Programming Basics With "Make Your Own Flappy Bird" In 20 Minutes Kids Can Learn Programming Basics With "Make Your Own Flappy Bird" In 20 Minutes Flappy Bird has flown off beyond the digital horizon. But its simplicity continues to inspire. Thanks to Code.org, anyone can design their own Flappy Bird game in 20 minutes. Read More now available, does anyone care about the original? Mozilla Firefox 28 has support for VP9 video. Quite reasonable to put 4K resolution cat videos online now. Mozilla has released Firefox 28 Firefox 28 Brings Better HTML5, Web Notifications For OS X & Pulls Metro Support Firefox 28 Brings Better HTML5, Web Notifications For OS X & Pulls Metro Support Mozilla has launched the latest Firefox browser across desktop platforms as well as Android. There's HTML5 support, Mac users get a neat feature, and Windows 8 users are in for a little disappointment. Read More . Support for HTML5 standards has been kicked up a gear and volume controls have been added to the Web browser. However, Mozilla has pulled support for the Metro version of Firefox for Windows 8 users, citing a low adoption rate. This was discussed on Technophilia 105: Technophilia Simulator. Technophilia is broadcast live every Wednesday, and archived on the MakeUseOf YouTube channel. 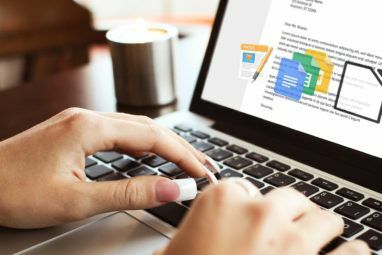 If you have a Google account — and let’s face it, you probably do — then you need to be aware of a new phishing scam New Phishing Scam Uses Scarily Accurate Google Login Page New Phishing Scam Uses Scarily Accurate Google Login Page You get a Google Doc link. You click it, then sign in to your Google account. Seems safe enough, right? Wrong, apparently. A sophisticated phishing setup is teaching the world another online security lesson. Read More that uses a fake Google login screen with Google Docs as the bait. With most of us savvy enough not to fall for classic phishing techniques What Exactly Is Phishing & What Techniques Are Scammers Using? 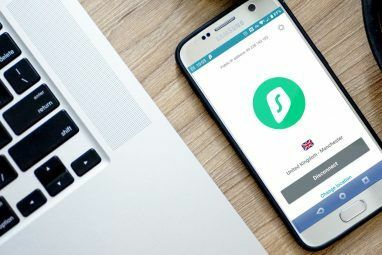 What Exactly Is Phishing & What Techniques Are Scammers Using? I’ve never been a fan of fishing, myself. This is mostly because of an early expedition where my cousin managed to catch two fish while I caught zip. 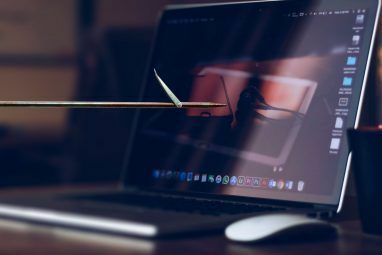 Similar to real-life fishing, phishing scams aren’t... Read More these days, it seems cybercriminals are seeking alternative ways of catching us out. And finally, Mongolia is attempting the near-impossible, trying to ban swearing on the Web. To help its citizens know what is and isn’t acceptable to say online, the Mongolian government has released a list of terms that should be avoided at all costs. The list includes a mix of English, Russian, and Chinese words and phrases, some of which are rude, some of which are extremely mild. As an example: “Goshdarnit, you’re all drunk female hygiene accessories,” would be heavily censored. And rightly so. Explore more about: Google Docs, Mozilla Firefox, Online Security, PlayStation. Mozilla fan through thick and thin. Go home Mongolia, you're drunk. Don't they just! There has to be a game in this somewhere though... Banned Mongolian Words Sentence Generator. For the rest of the world: Mongolian Bingo. You generate a Bingo card with a mixture of these words, go onto any website that allows user comments, and read the comments until you get Bingo! For Mongolia, the game is to bypass the filters in the quickest time possible. Extra points for times under 30 seconds. Nailed it. You win the Internet. Mongolia loses.